Well, I was looking for something creative to do & while I was reading one of my favorite blogs I came across a fun idea! Sadie Olive is a blog that I read regularly. She is an amazingly talented woman & she loves photography. In fact, I bought some beautiful postcards created with her photographs from her shop. Anyway, she had the idea to have a "week of themed photography" and starting Monday is "I Saw Red" week where you post photographs that "emphasize the color red". So, I decided to join in. It sounds like fun & even though I am not a great photographer, I know some of you out there who are. Now, I'm sure I didn't explain it all that well so I have added a button to my side bar...yep, that's it, with the red roses, to the right...click on it to go to her website for details & add your name to the list of participants. Come on & join the fun! I can't wait to see what everyone comes up with! On Saturday we finally painted my daughter's room. I can say "we" because this was the first time that my hubby let me help. He is not a painter by trade but the boys in his family grew up painting...that is, working for painters, owning painting companies & his dad managed a paint store so, consequently, they are all very particular on how painting should be done. And I have to say, they are all really good at it. At least he always lets me choose the color so, I picked yellow. Yellows can be tricky but, I tried to choose a mellow yellow. It is a Dunn Edwards paint called Ivory Oats (#DE5358). Of course, you can't really tell from the pictures the true color but, I'm likin' it. This is the same room that the garage sale furniture is going in so, I will show it to you when it is all done. Life is so busy, that it is a slow process but, getting the room painted is a big "check" off the list! I did a little bit of garden care yesterday. It was about 98 degrees so I had to wait until later in the evening. It was actually perfect weather after 7:00pm. Here are my tomatoes. They are getting so big that I need to get bigger cages for them! I'm hoping some of the tomatoes will ripen soon! I am so impatient. It's time to cover the strawberries with netting because the birds keep getting at them. My carrot tops are getting very bushy but, they're not quite ready to come out of the ground yet. And my cucumbers are finally growing! There are green onions in this box too. Everything seems to be growing well except for my pepper plants. They are having a heck of a time. They just won't grow! 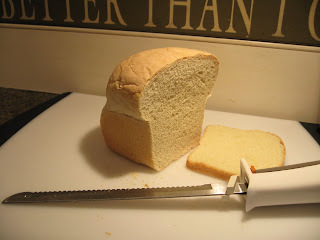 I made my bread & it was amazing! Seriously, it is so easy! I am going to be making it every week! This week I am going to add wheat flour into it. If you are interested in making bread at all, order the DVD! I just got back from our ninth annual girls weekend. It was fabulous! 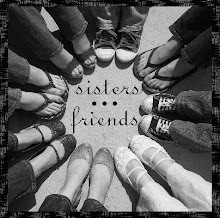 I get together with my 7 amazing sisters and my mom and we do girl stuff...lots of shopping, cooking, talking, you know. Each year we try to learn something new. This year we took a bread making class. Jeannie Dayton & her daughter Mindy Spencer started a company called Pantry Secrets. Here is a picture of them. Aren't they so cute?!! They are so much fun together and really inspiring. We went to Jeannie's beautiful home where they taught us a new way to make bread. There are no eggs, milk, butter or oil. It's one simple recipe and it makes a gazillion, billion things...french bread, dinner rolls, breadsticks, cinnamon twists, pizza, scones, cream cheese braid dessert, orange rolls, and much more! It is truly amazing. I am going to watch my DVD tomorrow and get started. I can't wait to share the benefits of Pantry Secrets with my family. I will let you know how it goes.